Recipe and food videos have huge viral potential on social media. Food is a gold mine for social video. Especially when it involves babies or kids. Our Kids Recipe series is specially designed for children. It is a fast and easy way to get ideas about making something healthy, tasty and exceptional with kids. Cooking with children can be easy and fun! Parents can use these online cooking videos to show youngsters how to cook their favorite recipes or to get ideas for what to cook for the little ones. We have produced a variety of recipes that even the pickiest of eaters will enjoy. All our recipes are healthy, tasty and easy to cook. We have more than 100 different recipes for your portal, each of which had been cooked by a professional cook but is easy for parents and kids to make. Each video is about one to two minute in duration. All our videos are “audience tested” and thus we are able to guarantee positive feedback from your website’s visitors and a strong support from your social media channels. Upon request, we will add your or your client’s logo to the videos. All our videos are in 1080p FullHD quality. 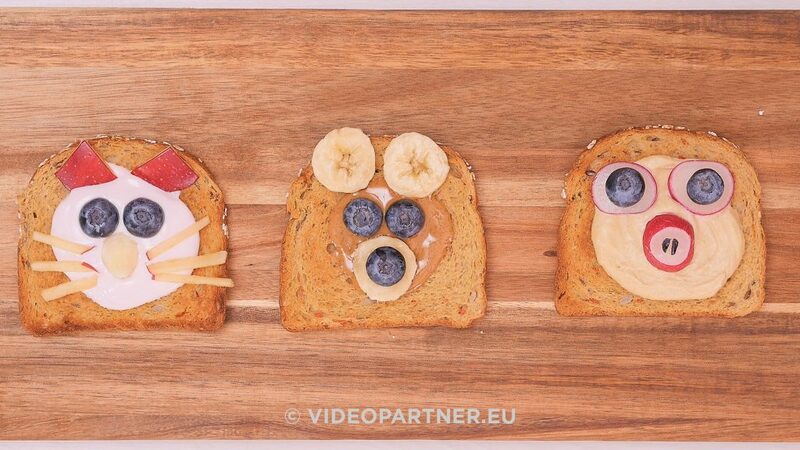 Our Kids Recipe video series is suitable for publishing on any channel or portal, and we have space for localization. You can buy from us just one video or ten but we highly recommend to buy the whole series with more than 100 videos because it gives high value to your portal. When you buy from us, you’ll save a lot of time and money. From us, you’ll get ready-to-use project file and you can use it immediately. We would be very grateful if you could inform your favorite food/health/parent app, website or media channel of our video. You can also let us know where you would like to see our video content and we’ll contact directly with these websites, portals and/or apps.